We all experience it and deal with it in very different ways and many consider it to be just an unavoidable part of their life. But just imagine how much better your lives would be without it or if you could get your stress under some sort of control. Not only does stress affect you mentally but it can also have extremely damaging physical consequences. According to research over 40% of adults suffer from the adverse effects of stress. In fact according to statistic on WebMD between 75 and 90% of all visits to the doctors are the result of a stress-related condition. In the long term stress can increase the risk of a number of serious diseases including autoimmune disorders, heart disease and cancer. The stresses that we all encounter in our hectic modern lives are unlikely to disappear any time soon. Controlling your stress is therefore essential to your emotional well-being and your physical health. The good news is that people suffering from stress can benefit greatly from some lifestyle changes like finding more time for hobbies and exercise. They can also benefits from making good dietary choices while there is also solace to be found in various herbal remedies and essential oils. If you are one of the millions of people who suffer with the debilitating effects of stress, do not despair. There are plenty of extremely effective natural ways to help ease your condition. These are some of the very best and we feel they will help you get your stress levels under control and improve your quality of life. If you are feeling stressed out and tired, then there are few better natural remedies than a soothing cup of herbal tea. Herbal teas make a great, healthy alternative to black tea and coffee which contain caffeine that can make your symptoms worse. Certain herbal teas also contain compounds that can help both relax your mind and help you to get a good night of sleep. You can read about the best teas for sleep if you click on this link. The best teas for sleep.. Essential oils have a great many uses for both emotional and physical well-being. Some of these wonderful plant oils are especially effective in relieving stress and anxiety issues. Trouble sleeping often goes hand in hand with stress and many of these oils can also help you get a good night of quality sleep. When it comes to stress relief, there are plenty of oils to choose from. If one essential oil does not have the desired effect, don’t give up hope. It often takes a little trial and error before you find the best oil for your personal use. Among the most effective are the following essential oils all of which have been studied with regards to their effects on stress or insomnia. Once you have chosen your essential oil, using it to treat your stress is very simple. There are several equally effective ways to use your oil but remember that these oils are very strong and should never be ingested nor applied to the skin undiluted. Massage : Dilute a few drops of essential oil with a carrier oil and massage it into your body. Diffuse : You can diffuse your essential oils to help ease your stress during the day and help you sleep peacefully through the night. Inhale : Inhale the oil directly from the bottle or from a handkerchief whenever you feel the need. You can read a more detailed review of the best essential oils for stress by following this link. Essential oil for stress. As well as the herbal teas mentioned earlier in the article, several herbs have adaptogenic properties that can help relieve stress and also anxiety. They are believed to work because they reduce the effect that cortisol – the human stress hormone – has on the mind and body. Although, there is little solid research into the effects of these herbs on stress, these healing plants can help make the job of managing your stress much easier by regulating your stress hormones. They may also help you to sleep better through the night. It is important that you eat a nutritional diet that will give your body a supply of vitamins, minerals, electrolytes, healthy fats and antioxidants. These nutrients can all hep your brain cope better with stress and benefit your whole body. Magnesium and Calcium rich foods: Both magnesium and calcium help relax the muscles, relieve headaches and help you to get a better night of sleep. Some of the best sources of these minerals include dark leafy greens, cruciferous vegetables such as broccoli and cabbage, avocados, nuts, legumes, beans and wild-caught fish like salmon. Food Rich in B Vitamins: The body needs B vitamins in order to convert the nutrients you consume into energy. Some of the best sources of these important vitamins are dairy products, wild fish, grass-fed beef, poultry and green leafy veg. Food High in Omega 3 Fatty Acids: Omega-3 fatty acids and other healthy fats can significantly reduce inflammation and also improve mood while they are also excellent for brain health and the heart. Food containing a high amount Omega-3 include wild-caught fish such as salmon, sardines and trout. Other fats which are great for the brain and your emotional well-being include olive oil, coconut oil, avocado, seeds and nuts. High Protein food: Food high in protein provide you with various amino acids necessary for neurotransmitter function. Like many people, whenever I feel more stressed than usual, I like to get out and pound the streets. Not everybody enjoys jogging but there is no better way to relieve stress than to get the body moving. There is good reason for this. Exercise releases powerful brain chemicals called endorphines. They act as the body’s natural mood lifters and pain killers. There is evidence from research that the adverse effects of stress are heightened in people that do not get enough exercise. Regular exercise helps protect us from the effects of stress. It regulates a number of psychological and metabolic processes like mood, blood sugar level,sleep cycles and circadian rhythms.. Exercise helps us in so many ways apart from the obvious physical benefits. It can improve a person’s insulin sensitivity, improve appetite and eating habits and has an amazing effect on self-esteem. It will also help you to sleep like a baby and lack of sleep and stress tend to be inextricably linked. Like other forms of exercise, there is evidence that yoga has a very positive effect on stress as well as anxiety and self esteem. 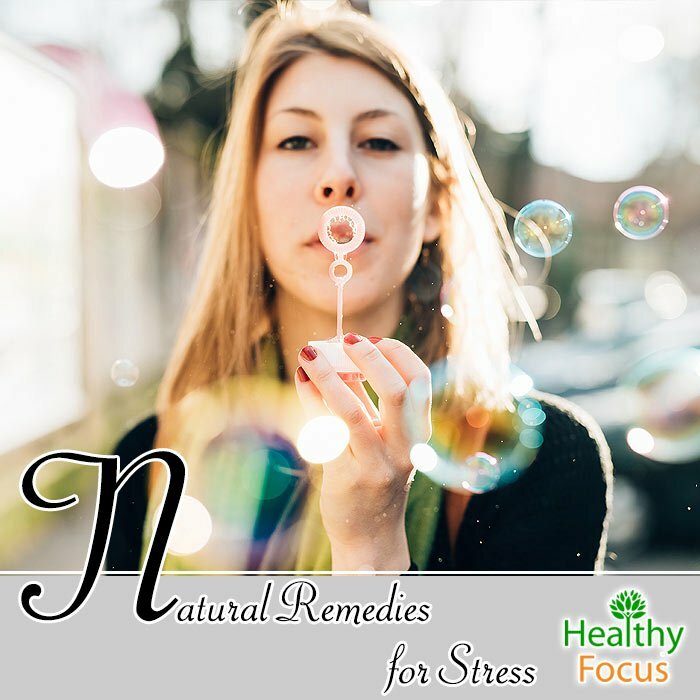 So, if you are one of the countless people suffering from stress, there are plenty of natural alternatives to the prescription medications that are so often prescribed. With a few natural remedies and a small change in lifestyle, you may well be a ble to control your stress and improve your quality of life.